The UK government is proposing to require imams to legally register a marriage alongside a religious nikah. Muslim activists say they broadly welcome the proposal though it raises some questions. Currently an Islamic marriage, a nikah, is merely a religious contract between two people and does not have to be legally registered. It is estimated that thousands of British Muslim couples every year have Islamic marriages without a civil registration. The government says it leaves many women without the legal protection. Such a law has not been introduced. But the proposal is hidden deep inside a document published by the government this week on integration. It is being spearheaded by Sajid Javid, the Secretary of State for Housing, Communities and Local Government. The government 'green paper' states: "The government is supportive in principle of the requirement that civil marriages are conducted before or at the same time as religious ceremonies." "Therefore, the government will explore the legal and practical challenges of limited reform relating to the law on marriage and religious weddings." The government has also briefed journalists that if the proposal goes ahead, as is likely, imams could face prosecution if they don't register a marriage legally along with an Islamic nikah. Shaista Gohir OBE, chair of the Muslim Women's Network, said she welcomed the proposal as it had been recommended by MWN in the past. Amina Lone, co-director of the Social Action and Research Foundation, also told Barfi Culture it was a good move but making it a requirement just for Muslims would be "daft". "There should be one law for all. Sadly many in the faith communities in particular in recent years the Muslim gatekeepers and religious hierarchy (mostly men) are encouraging people to just have Nikkahs. The people who are most impacted by that is women and children if the marriage breaks up as they have little or poor legal recourse," she said. But others were a bit more cautious. Akeela Ahmed, a campaigner and member of the Working Group on Anti-Muslim Hatred, told Barfi Culture it was "unfortunately a necessary move" to protect vulnerable women. "However what about the Muslim women who want to live as cohabitants in the eyes of the state but also have a religious nikah reading? Which doesn’t necessarily need to be conducted by an Imam?" she asked. 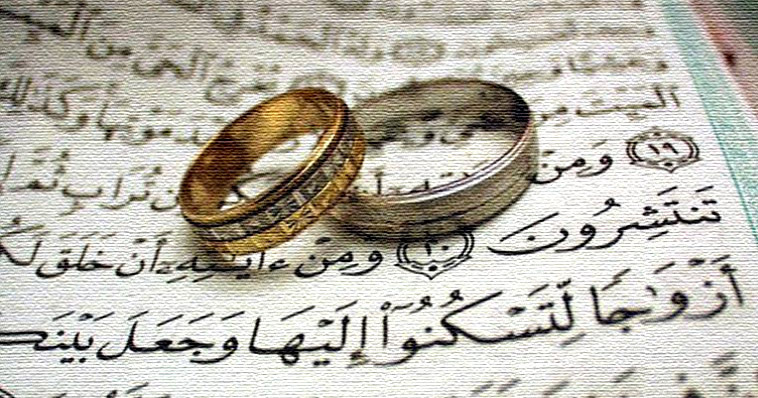 "For some Muslims a nikah can be done by a couple themselves without need for an Imam. It’s not ideal to have to legislate on these matters but in absence of protection for women, it’s a necessary move," she added. Broadcaster Remona Aly agreed too. "I believe it's becoming increasingly necessary, especially for Muslim women, to register marriages according to British law. It's woeful to see how the nikah contract is being abused. Its entire purpose was to serve as a legal as well as social contract." She added: "But now this is a question of safeguarding rights and protecting the vulnerable, and that has to fall under the laws of the land." The Muslim Council of Britain has not yet commented on the proposal but is likely to welcome it. In February this year, a review commissioned by the Home Office on Sharia Councils, led by Professor Mona Siddiqui, concluded that many Muslim women were left vulnerable because their Islamic marriages were not legally registered, leaving them unprotected if they fell apart. It recommended a requirement on imams to legally register each nikkah. Professor Siddiqui's report estimated there were around 100,000 British Muslim women who were unprotected this way. Last night she seemed to be welcoming the news with a tweet that said: "Maybe something might actually happen."